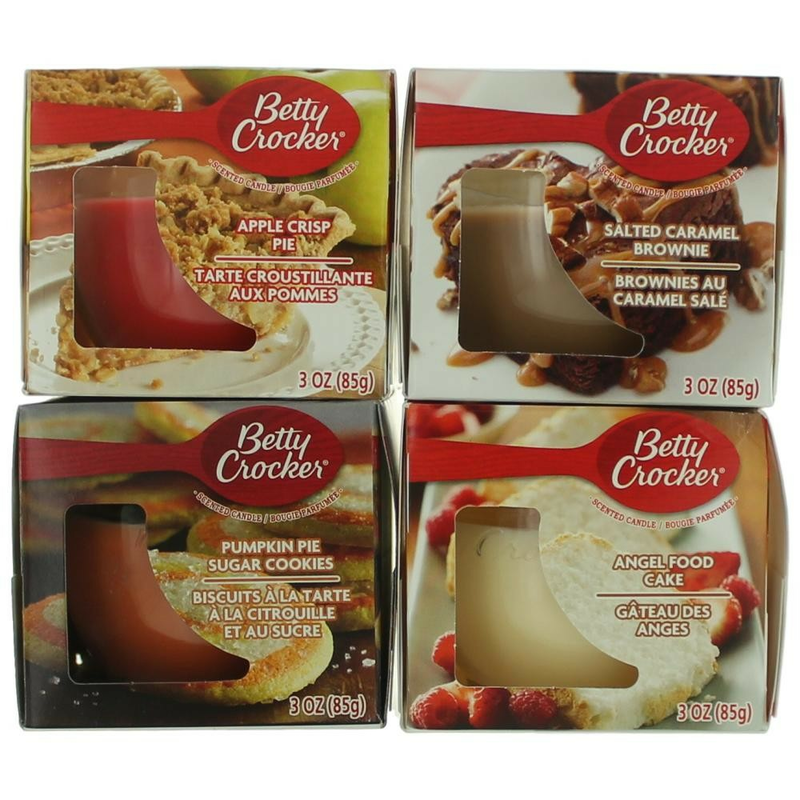 Includes Pumpkin Pie Sugar Cookies, Apple Crisp Pie, Angel Food Cake and Salted Caramel Brownie. 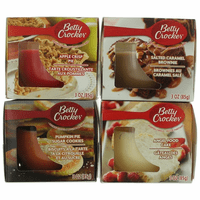 Lovely glass jar candles create the aroma of freshly baked Betty Crocker baked goods! A mouth-watering way to scatter candlelight at banquets, receptions, outdoor parties, and more.